So far I used the lmodern package for almost everything. But I think that the readability of computer modern on a screen is not really good (printed it is good). In addition lmodern or cm look very common because almost everyone uses it. 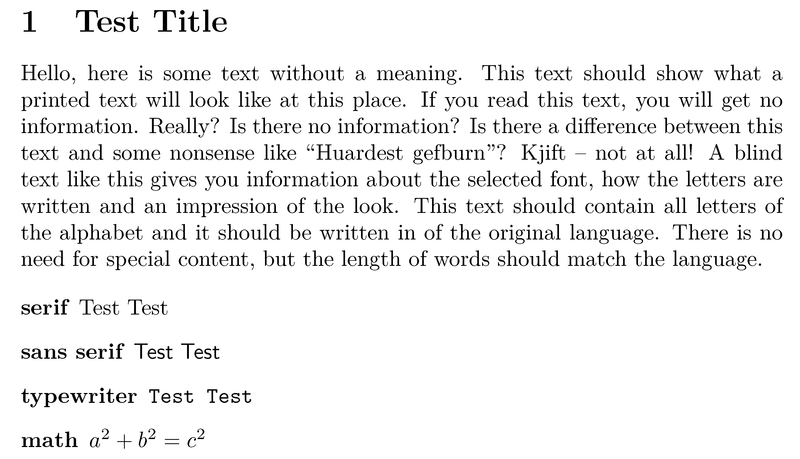 What font setup (math/text) would you recommend to spice a document up a little (it is still a academic thesis). It will be written in German and will contain a fair amount of math and listings too. It should look good on a screen too. I once read that Lucida Bright is a great font regarding my demands. But it is not free. 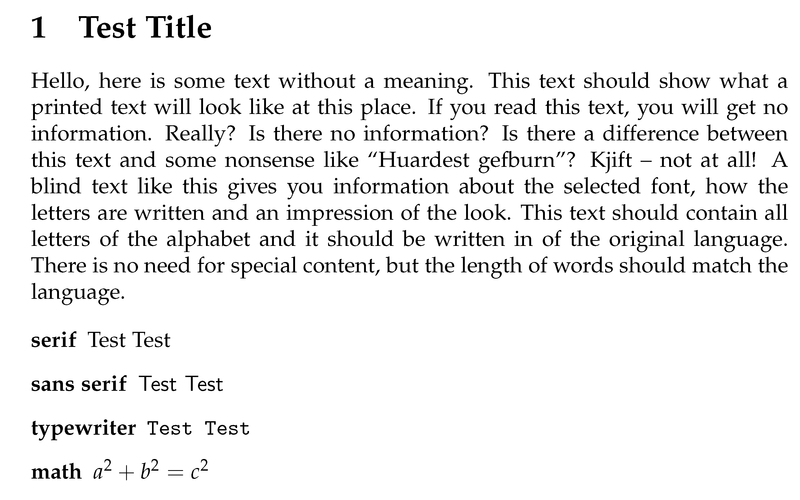 I also read that the The LaTeX Companion is written with Lucida Bright. It is important that the math font contains upright and italic greek letters. mathpazo is a nice alternative, as suggested in a comment. My favorite alternative, however, is the LinuxLibertine family: Libertine for the serif font, Biolinum for the sans-serif, and the font is "complete" in the sense that you will have all the shapes you could wish (slanted, bold, small caps) as well as greek letters. You should definitely have a look at the libertine package. For my PhD-Thesis I used the (in my view awesome) classicthesis, wich uses the Palatino, Euler and Bera Mono typefaces, which seemed like a nice choice. Is this font computer modern ?